The trend might not be robust but more Pakistani entrepreneurs, eager to succeed in the market, realise perils of operating in the extralegal space and wish to cross over to gain identity for self and their assets, official data indicates. The size of the parallel economy in Pakistan is sizeable. However, operations under the radar suffer particularly in the case of business disputes. The intervention of state institutions is not possible in such events as the entities do not enjoy legal existence. Their unofficial status deprives unregistered firms of access to bank credit. Besides, partners can’t be held accountable for reneging on their commitments as transactions can’t be tracked and the business reach is limited to the close circles of acquaintances. 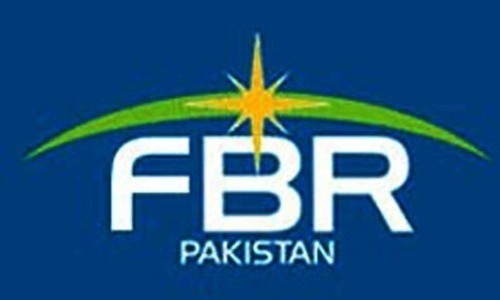 It is, therefore, not surprising that enterprising Pakistanis are approaching the regulators, pushing up the number of registered companies in Pakistan to 87,620. Data shared by the corporate regulator, Securities and Exchange Commission of Pakistan (SECP), provided a basis for some interesting deductions that shed light on the evolving architecture of the business sphere in the country. SECP data shows an escalation in the number of annually registered companies. This must be attributed to higher growth and positive business sentiments under the PML-N government. Experts, however, believe that the incorporation trend also indicates a changing mindset in society. “The new generation of Pakistani entrepreneurs is more inclined to opt for the legal route to economic success,” says a company secretary. In his view, the spike in the annual company registration rate is more than what the growth gains of the past five years justify. The GDP growth rate rose by over two percentage points from 3.6pc in 2013-14 to 5.7pc in 2017-18. According to the dataset forwarded by the SECP, the annual registration of companies spiked almost 148pc in five years. From 4,587 companies registered in 2013-14, the number shot up to 11,370 last fiscal. The data showed that trading was by far the most popular field for people starting or expanding their business footprint in Pakistan. The incorporation of trading companies (1,688) in 2017-18 alone surpassed the collective strength of all companies floated in the manufacturing sector (food, engineering, drug, textile, energy, chemical, electric, power and paper and board) at 1,612. 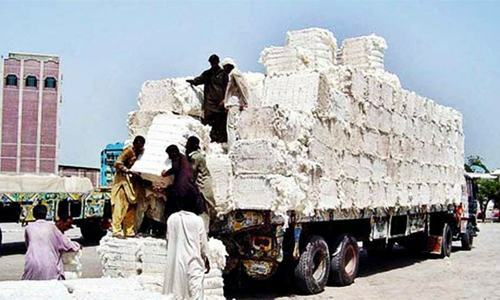 The deduction lends credence to the position of the Pakistan Business Council (PBC) and other private-sector platforms regarding the premature deindustrialisation in Pakistan. There is a perception that the level of corporatisation in Pakistan is too low. Experts often blame account disclosure requirements for the reluctance of companies to list. Others believe that a lack of incentives is responsible for the limited participation of firms. Only 532 of total 87,620 registered companies (0.6pc) were listed against 5,615 of 1.7 million (0.3pc) listed in India in 2017. Only 0.1pc of 30m companies were listed in the United States in 2017. The data of the World Federation of Exchanges available on the World Bank website depicts a global declining trend of companies’ participation in the capital market. From 45,000 listed companies in 2010, the number fell to 41,000 in 2015. 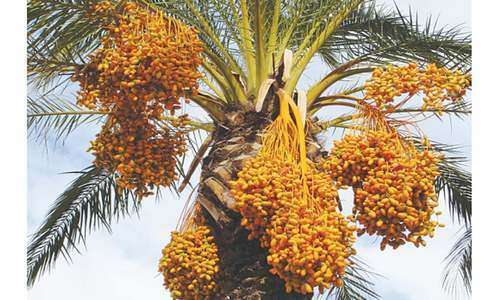 It is for experts to explain the decline but one possible reason could be the changing dynamics of the financial world where new arrangements for pooling and disbursement of resources have emerged. Likewise, the capitalisation breakdown shows that a bulk of registered firms are small with less than Rs100,000 paid-up capital. The number of firms with a paid-up capital of more than Rs500,000 was 9,587 until June. Medium-sized companies with a paid up capital ranging between Rs100,001 and Rs400,999 are a fraction of the total registered companies. “Businesspersons opt for listing to raise capital for expansion. There is little possibility that businesses’ appetite for capital has died down or they have surrendered their wish to grow to the next level. It is more likely that the business class has found some other, more viable avenue to access capital that is diminishing its interest in the stock market,” a former board member of the Pakistan Stock Exchange commented. This trend partially explains why many successful local brands with exceptionally high growth in Pakistan (pharmaceuticals, fast-moving consumer goods, etc) are not listed. “You must not overlook the narrow business base of Pakistan compared to India and the United States,” he added. The spokesperson for the SECP, Amir Khan, told Dawn that the government is keen to ensure ‘ease of doing business’ without compromising on the target of documentation. He listed reforms such as: company registration time cut to four working hours, introduction of online registration, launch of the one-window facility, reduction in cost, online fee payment facility and online service facility. Key members of the government’s economic team and the relevant ministers were not available for comment last week. The countrywide segregation of data pertaining to the companies of foreign origin is both revealing and intriguing. Post-CPEC interest of Chinese companies in Pakistan is understandable. Their participation has persistently been increasing. Seven Chinese companies were incorporated in 2013-14. In subsequent years, their number increased to 17, 31, 33 and 21, with total numerical strength of 145 in 2017-18. 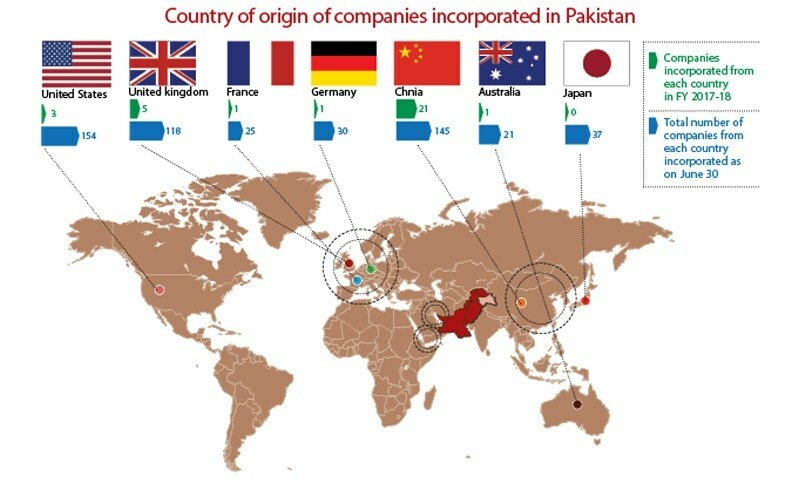 China was second only to the United States that has a total of 154 companies registered in Pakistan. It is not possible to dissect the data to see historical trends as the system and techniques have persistently been evolving with time. Record keeping of sector-wise registration started recently. Its digitisation has facilitated classification, but details of the pre-2000 period remain rudimentary.